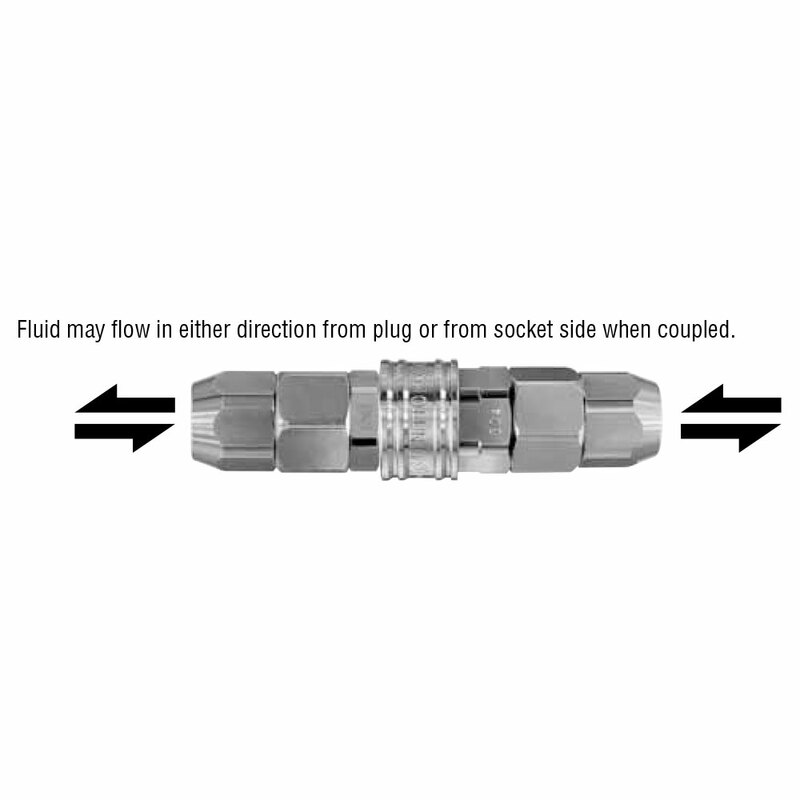 Both socket and plug have built-in automatic shut-off valves. Compact size with max. outer dia. 17.5mm. Compact yet operator friendly sleeve design. 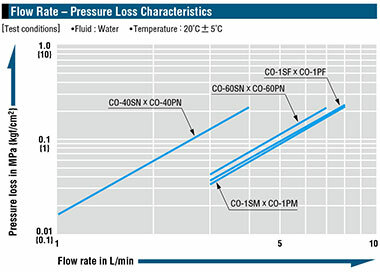 For small bore piping from temperature control piping to scientific equipment. 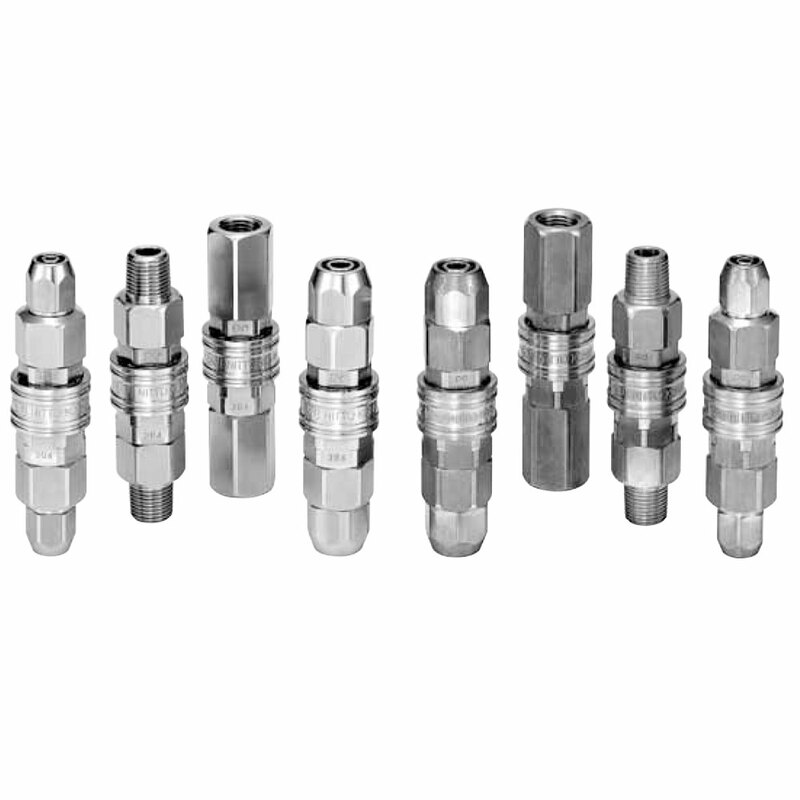 Body materials in stainless steel or brass, excellent in corrosion resistance. 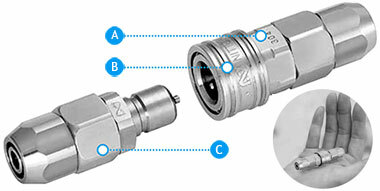 Four types of end configuration enable suitability with a wide range of piping applications. 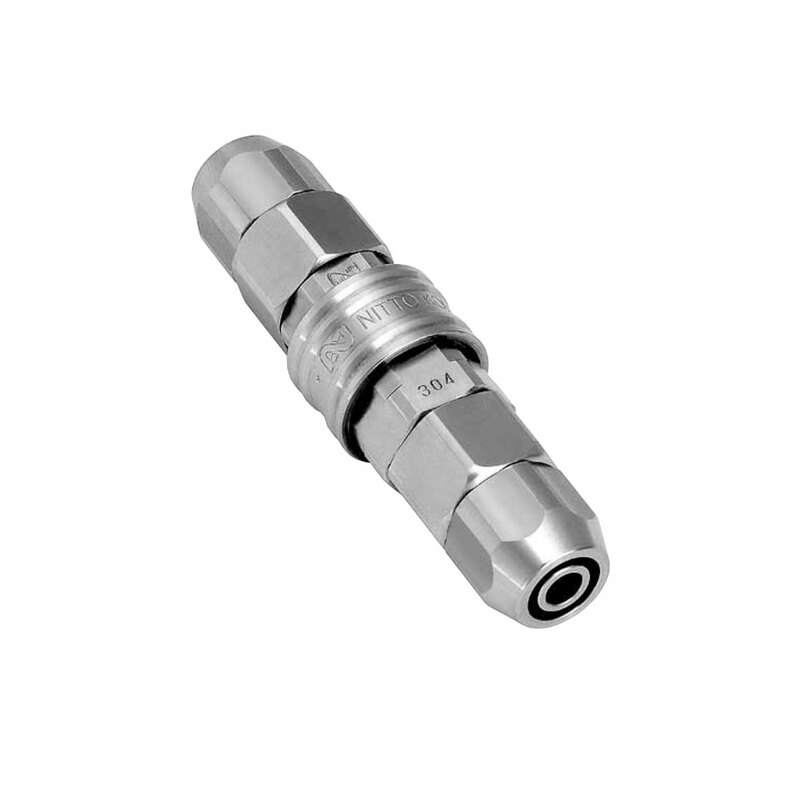 Compact 17.5mm outer diameter, yet socket and plug have built in automatic shut-off valves. Before use, please be sure to read "safety guide" described at the end of this book and "Instruction Sheet" that comes with the products.